Cheese, herbs, breadcrumbs… These are just some of our favorite ways to add the perfect finishing touch to pasta! While we do love those classic toppings, we do love to experiment with adventurous recipes. 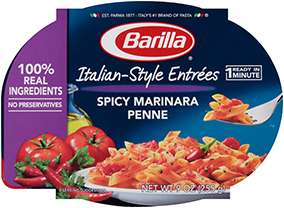 Here are some of our favorite not-so-average pasta toppings and recipes! The pistachio-Parmesan crumble is an unexpected – yet super delicious – way to top off this creamy broccoli Alfredo! 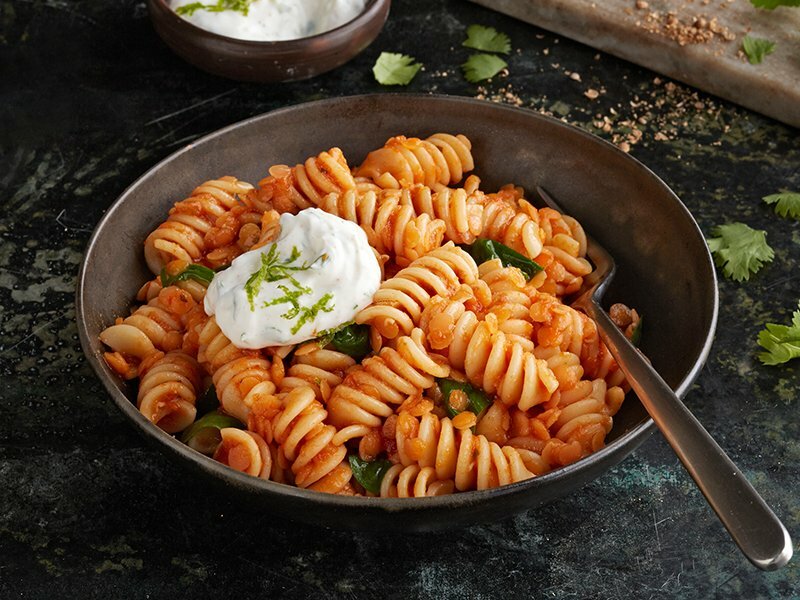 The contrasting flavors of the cool yogurt topping with red lentil and curried ginger are the perfect combo for this Rotini and marinara sauce dish. This Farfalle and Chunky Traditional Sauce recipe features kale two ways: mixed in the pasta and baked for a crispy topping!